Cardiff City head to the Walkers Stadium hoping to complete a league double over the Foxes. Michael Ricketts scored the only goal in Cardiff's 1 - 0 win at Ninian Park last September. After that game Cardiff trailed Leicester by a place and a point in mid table but since then the fortunes of both clubs have changed. 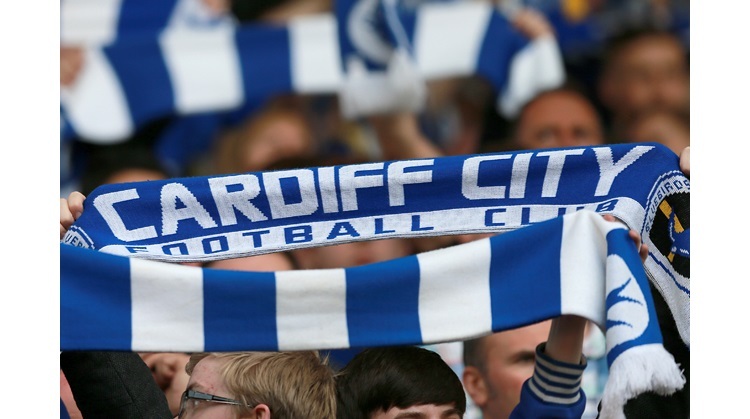 For Cardiff there has been a climb up the table leaving the Bluebirds as play off contenders. For Leicester it's the opposite. Craig Levein's side are in the relegation zone with only 5 wins in the 28 games they have played. They took a memorable scalp in the FA Cup two weeks ago. Afetr being 2 down at home to Spurs they came back to win 3 - 2 and now face Southampton in the next round. Of course Leicester beat City in the Carling Cup this season at Ninian Park. City will be without Jeff Whitley who completes his two match ban tomorrow. Riccy Scimeca is set to make his full debut against his former team. He is expected to replace Willie Boland as the only change to the starting line up. Glenn Loovens is still injured so Neil Cox will partner Darren Purse in defence. "I'm looking forward to going back," said Scimeca. "I had a good time at Leicester. I made some good friends there. "It will be nice to see some old faces and I look forward to playing my first full game for Cardiff there. "But the whole point of going there is to earn three points. "I think we've got a break coming up before the next game against Millwall so for us it's important to get another three points going into that break and push ourselves further up the table." Steve Thompson should be OK to play upfront with Cameron Jerome after suffering with a stomach bug and Guy Nsungu will be on the bench. Leicester are set to give a home debut to striker Matty Fryatt. Craig Levein is hoping to see his side pick up and not fall deeper into a relegation battle. "I have to try to lift any pressure, especially on the younger players, and to give them confidence because we don't want anyone to be scared to play," he said. "The supporters have a part to play in that. A lot of them are frustrated and fearful of the situation we are in but the last thing we can afford is to have splits in the set-up. "People have gripes and complaints, but that should be kept outside the 90 minutes. "By and large, I have no complaint about the fans because the majority of them have been very good." For Cardiff three points are needed to maintain a play off challenge and with a home game over another team in the relegation zone, Millwall, coming on Tuesday week, it's matches like this that we should be looking at winning. "I'd rather have a winning team than one that's pretty on the eye and keeps on losing. That seems to have happened in the past at this club. "Everyone said what a dire first half it was against Burnley last weekend, but we came away with maximum points and my argument is you must have watched some great football in the past at this club. "But this team has got in a far better position than the crown jewels that everyone talks about did. So these players deserve some credit. "We have put ourselves in contention and strengthened the squad. Now we must prove we can maintain our challenge. My squad is getting stronger, the quality is improving. Our aim is to go up this season - if not, it will be next season. But I want it done now. "To achieve that we must go out to win every game."